Thanks for the update, Michael. Can't wait to hear the results. This is one I'm definitely interested in doing, while my wife makes a Mirax costume. For sure Ryan (my lovely wife has Mirax's Jacket as well with similar thoughts of pairing it with me too ). When there is a consensus we'll let people know for sure. Yeah, this has always been at the top of the pilot judges "...but, but, but..." list. We've all wanted it for a long time, but the rules and past LMOs enforcing them haven't allowed it. 1) Face Character Corran Horn - This works on some levels but has some issues. We don't have a specific helmet design pattern that I'm aware of so would we NOT have a helmet requirement? Also, since Corran was a Jedi, it would seem that a lightsaber would be allowed ... but again WHICH lightsaber? Do we have a specific design that's known? Lastly facial hair and color ... as Face Character, we'd have to specify these wouldn't we, just like Luke's hairstyle and Biggs' mustache? 2) Correllian Security Forces Pilot - This also works, and might be the easy way to go. The X-wing novels state that Corran works for the Correllian Security Forces and that they have their own air support X-wings. The novels additionally state that he took his gear with him when he defected. So we could surmise that all his generic gear applies to this category of pilot. I'll point some of the other Pilot judges over this way and see if we can get this cleared up. And yes, I agree ... no way should the 501st have this costume when we don't! It's just another way of marginalizing the RL out of the picture in my opinion. 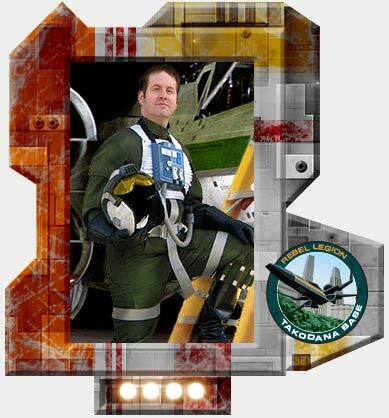 I'm approved for OT X-wing, but I'm seriously tempted to do a Corran Horn...it looks like except for jumpsuit, helmet, and green boot flare, every else from my x-wing would work. I'm guessing green suit was custom made? It is a 1970s flightsuit that we added costume pockets to. Hello over here now.